When you live in a town where the closest thing to independent cinema is Legally Blonde 2 you could be forgiven for upping sticks to London. 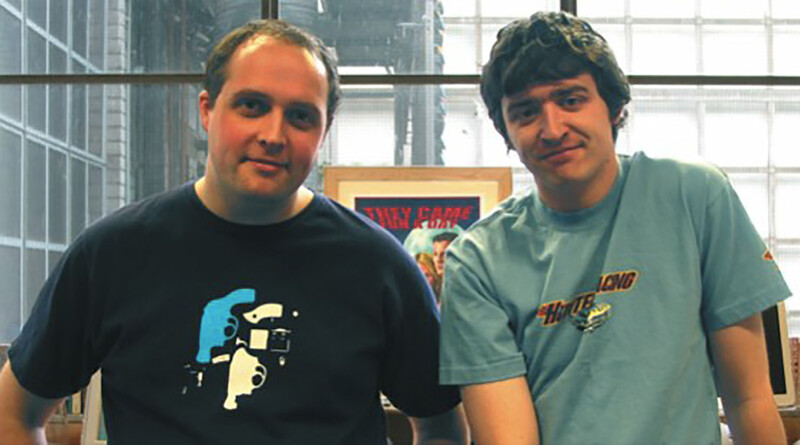 Instead, Luton-based Justin Doherty and Neil Fox of Zero Balance decided to create their own film festival, Filmstock. How did you identify a gap? Justin: We lived in the gap, we grew up in the gap. It was intended as a short weekend festival showing some local independent stuff and then a filmmaker emerged from New York and asked if their film could enter – and it all started from there. That’s when it expanded into a two-week festival and a lot of people supported it and encouraged us to make it bigger and go further, so we did. What did you do about funding? Justin: The first year we didn’t really know how much it was going to cost us. We had an initial £400 from a company in Hemel Hempstead called Alston Elliot and that lasted us nine months. We just didn’t dip in to it. We weren’t successful in getting any grants and the grant people recommended we tone the festival down, perhaps make it a week, take this angle off, take that angle off, but we were at the point where we had a two-week festival, everything was in place. All we needed was a little bit of capital. We weren’t at that point taking any money from it for ourselves, it was all being done while Neil was finishing off a degree and I was working full time. Neil: We just asked people we knew had the money, we said this is the position we’re in and this is what we need. They saw the value in what we were doing. Which funding body did you approach? Neil: The Arts Council England East has been our main funder. It funded the second year as a one-off and now we’re in the middle of a three- year grant to help the organizational development, which is basically for us to stabilize the festival and work out an infrastructure for it. We get a tiny amount locally. It doesn’t really affect the running of the festival. Justin: We get money from a section of the council from a small arts unit but not from Luton Council itself. It’s something we feel quite strongly about, not getting that sort of support this many years in. The council sponsors our venue. That’s the one thing that’s been in place since 2000. The place was given to us for two weeks for nothing. We come in and we run it; we don’t need to rely on any other staff – it’s all done through our volunteers and us, from the ticket ripping to projection. Four years in, have you managed to make the festival financially stable? Neil: It’s becoming more stable. We just got a business mentor who’s really good. He’s going to help us take what we know the festival can be and put it in a document which allows us to get main sponsors and forge those links with the right people to make sure that every year certain aspects of the festival are covered. Hopefully then we can make a living from it. It’s six months full-time work for which we don’t get paid and then the rest of the six months is creative time, developing meetings and working out what the next year’s going to look like and really working away to make sure that if there’s something we want for next year we can get it. How did you find a suitable venue? Neil: Our current venue is ideal and was the first place we came to when we began. 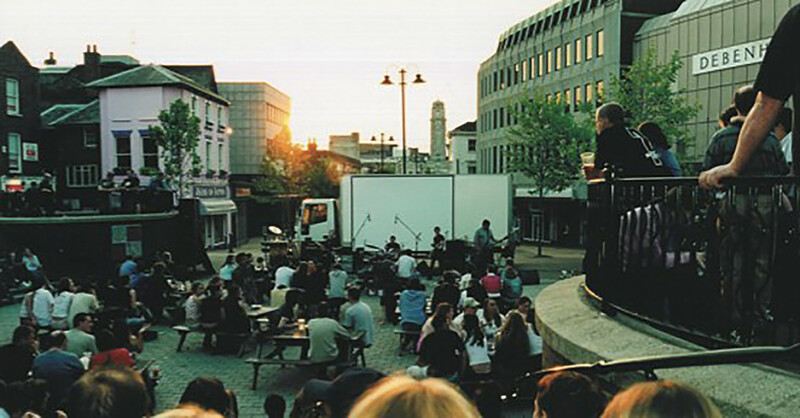 It has a small cinema and the bar area where people can meet and hang out, which is essential to the festival. In 2001 our venue was closed so we had to use the town hall, which was a difficult task, as we had to turn it into a cinema. How did you get the Cineworld multiplex involved? Neil: We lucked on Cineworld really. NTL suggested we contact them and they loved the idea. They came in very late in the first year so we didn’t have much there, but since then they’ve given us a screen every day for two weeks, which is invaluable and very unusual for a multiplex to donate that space. They also buy the prints and just take the box office. How do you get your message out to people? Justin: I guest in a naive way you assume that if you stick it around, people who like films are going to pick it up or will be on the look out for it, which isn’t true – as we found out. In the first year we had fluctuating audiences; there we were watching a Steve Martin double bill just three of us – the organizers and one other guy. Neil: We put it everywhere, it’s on the radio, it’s in the cinema, it’s in HMV, it was on the buses this year, it’s in the Arndale shopping centre and it’s in Luton at Large magazine. If you don’t come across it in any of those places, then you’re really not doing anything. Justin: Our outdoor screening, which is in its third year, has helped raise the profile. We hold it the Thursday before the festival starts. This year we had 550 people watching Moulin Rouge, many of them knowing about Filmstock already, but everyone else finding a little bit more about it. Neil: The programme for the last two years has been our main source for getting people to notice. They see this brochure that they don’t expect to see in the town. It’s a different kind of brochure. Justin: It’s free and people can’t understand that this glossy programme’s for free. It’s our biggest expense but it’s the only way to get it out there. It’s our main form of marketing and it tells you everything you need to know and gives a little background of what we’re trying to do. We do a lot of one-to-one marketing. We talk to a lot of people individually and probably answer Filmstock-related questions 50 times a day between April and June. Neil: We watch all the bands that play in the area, we go to all the bars and cinemas and just do the work, because those are the audiences you’ve got to let know what’s on. Justin: A lot of people ask “Can anyone come? Is it for me?” There’s a lot of education in getting people aware that it’s not an elite thing – you don’t have to be a filmmaker to come to a festival. Neil: You don’t have to watch French New Wave or Italian Silent cinema. Justin: Which makes the Cineworld relationship invaluable because that is the point where people in general watch films in the town. So by putting on a teen trilogy with The Goonies, Ferris Bueller and Stand By Me it gets people there who are suddenly involved in a film festival who might have thought they’d never go to one. And so they come, and then perhaps try some short films or something else. Is it difficult to get high profile guests at the festival? Justin: The difficulty is getting a guest who isn’t just going to turn up, introduce their film and sign some autographs, but actual take part, which is what Jim Sheridan did this year in the Montage season. The main feature of Montage was the films he grew up with – or that stuck in his mind for whatever reason. For example, he remembers Shane being screened in a church where the projector kept breaking down and that experience always stuck with him. So far we’ve had slightly different guests like Ray Harryhausen, who is now 80, and who lived through an incredible era of films and is to a degree responsible for stop-motion animation as we know it now. He’s the kind of guest we want. Neil: The first one is hardest because once someone commits and you can go back with their experience it’s always easier, because then someone will see that Jim Sheridan’s done it, he had a good time and has spoken kind words about it. Then they’ll be more willing to give their time because they know it’s not so much of a risk. Filmmakers are extremely busy so they need to know that any time they give over will be worthwhile all round. That’s why Jim Sheridan’s done us a favour we’ll always be grateful for. How do you choose what is included? Justin: The amount of entries we get grows every year and we never say only films of a certain production value will get in. There was a film made for about £10 screened this year which wasn’t really polished, but it was quite funny and there was a nice story behind it. Then at the other end of the scale we had an Italian film, which was made for $100,000 and played at Cannes and Venice, but these films are all shown together in the same session. We pick things that either we like or we think someone else will like. Neil: We make a point of watching every film through, because films will often have a beautiful press pack and title sequence, but when you get into them they’re terrible. In 2002 you had the first UK screening of Insomnia and this year you had Identity. How hard is it to secure these exclusive screenings? Justin: Shrek was our first one in 2001 and that came about because we talked to Cineworld and said we wanted to do something different, and we got it three weeks before it was out. It was a lot easier than we’d expected, so in 2002 we decided to make Insomnia our opening film. With Filmstock as a festival combined with Cineworld, we were representing the best of both worlds, which distributors like. We’ve found that if there’s no reason not to – such as a title being promised to another festival – then they’ll let you show it. This year we personally approached the distributors instead of Cineworld, and as we were doing a lot of work with Columbia to locate prints for our Easy Rider/Raging Bulls season, we got Identity from them as the opening film and Nicholas Nickleby from Fox as the closing movie. Are you responsible for making sure entries don’t breach copyright in their films, etc.? Justin: We have a restriction that says all presented work has to be copyright-cleared. At the end of the day it’s the filmmakers’ responsibility. A big problem is certification. Each local council can decide whether or not you can show films or if they want to certify them. Luton Council wanted to certify them. So the first year we had 12 councilors sitting in a room watching these films. From the second year onwards there’s been a fantastic women at the licensing department who comes in and watches them all herself and goes through every short film we’re going to show. That was definitely a thing we weren’t expecting. There’s a lot of grey area about what pictures you can or can’t use in the brochure, so generally I call and ask. However, Vertigo Galleries, an original vintage poster gallery in London, is one of our supporters now, and they have the images so we incorporate them into the programme as part of their advertising, as they have permission to use the images for their marketing. Justin: You always get things like prints breaking or not turning up, especially with the older films. A couple of prints this year didn’t get here in time; it happens – there’s not much you can do about it. You get a disappointed crowd, but you can usually get the film back or get them to come and see the later showing if it’s been delayed. Just little things like that, but we’re impeccably organized. We normally think of everything. Just being two of us means it’s hard to miss things: the bigger the team the harder the communication. What are the important pitfalls to watch out for in setting up a festival? Justin: Marketing is the main thing, and you also have to work out what you’re going to show. As we grew up here, we know the area and can imagine what will go down well. If you’re planning to show short films, is there a local filmmaker thing going on? Is there a university where people make films? Is there going to be anyone to watch them? If not, you’re going to have a hard time selling that to people. Work out what you’re going to show and try to tell everyone as far in advance what you’re showing and where. If you like films, what do you do? You go to the cinema and you buy them from stores. Think about where those people go and that’s where you hit them. Make it friendly. There’s nothing worse than a festival where you don’t feel welcome, or when you feel you’re just sitting down and watching a film. Make people know they’re part of something, either in your programme or by welcoming them and knowing their names. Ask what they’re into and suggest other things they should see. Know your films and try to get to know as many of your audience as possible. The personal touch is invaluable, it’s how people find out about Filmstock. Justin: We’re quite happy with the structure. The Montage season will become the centre point, with the retrospectives and independents next, followed by the other special events. There are some directors we’re aiming to go for that will make the Montage the focus of the festival. Changes? More venues, different venues. Last year we screened Romeo and Juliet in St Mary’s church and had thousands of candles and rose petals scattered around. That was our most successful event yet – people queued round the block. The audience reaction was what we always wanted for an event like that. So more things like that. We’ve always wanted to show Jaws in a swimming pool. Next year we plan to have the opportunity for anyone who misses the short films to use their pass to the catch-up room and see the shorts they’ve missed. Screen East is also planning to run education workshops. We joke about only doing 11 festivals and having the 11th one as a tribute to Spinal Tap. 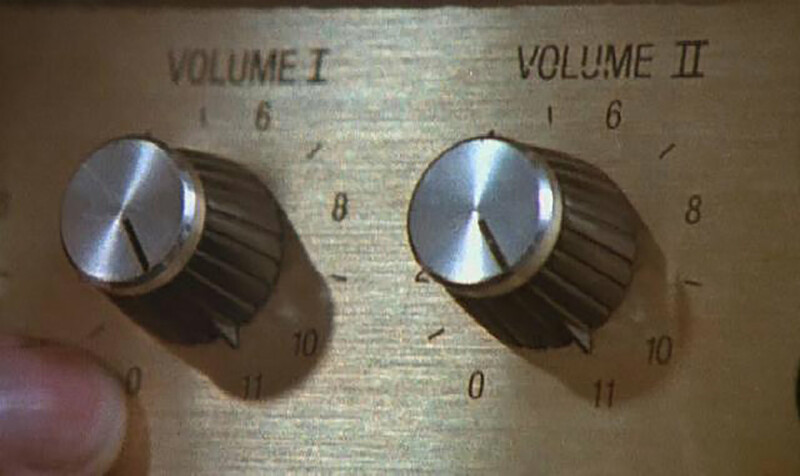 Then we can have, ‘Filmstock, the Festival that goes up to 11’, and combine it with a Spinal Tap reunion and concert.